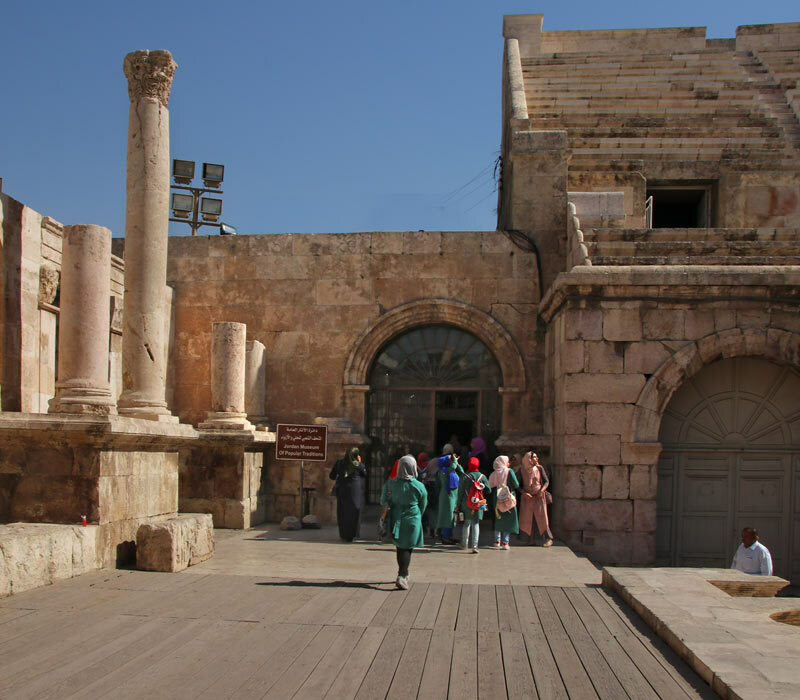 Established in 1971, housed in the Eastern lateral halls of the Roman Theatre (from the entrance to the left), the museum exhibits Jordanian and Palestinian heritage, such as traditional costumes and headdresses, weavings and embroideries, jewellery and cosmetic items, household and food preparation utensils. 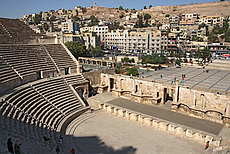 The fifth hall, which is in a vault of the Roman Theatre, houses a collection of mosaics from Byzantine churches in Jerash and Madaba from the 6th cent. AD.